children’s mental gears turning as they pedal for a tasty treat. Smoothie bikes introduce a fun, dynamic aspect to any educational activity. Incorporate them into a physics, energy conservation, nutrition or health lesson. Work them into a gym class. Plus there’s always an opportunity for a hands-on smoothie making lesson. Every smoothie bike has an adjustable seat that accommodates adults and children, ages six and up. If a child is too small they can still participate in other ways such as picking out ingredients. We know that the better organised a fundraiser is, the more successful it will be. That’s why we provide an engagement guide, recipes and a shopping list to help you prepare and make this your best event yet. 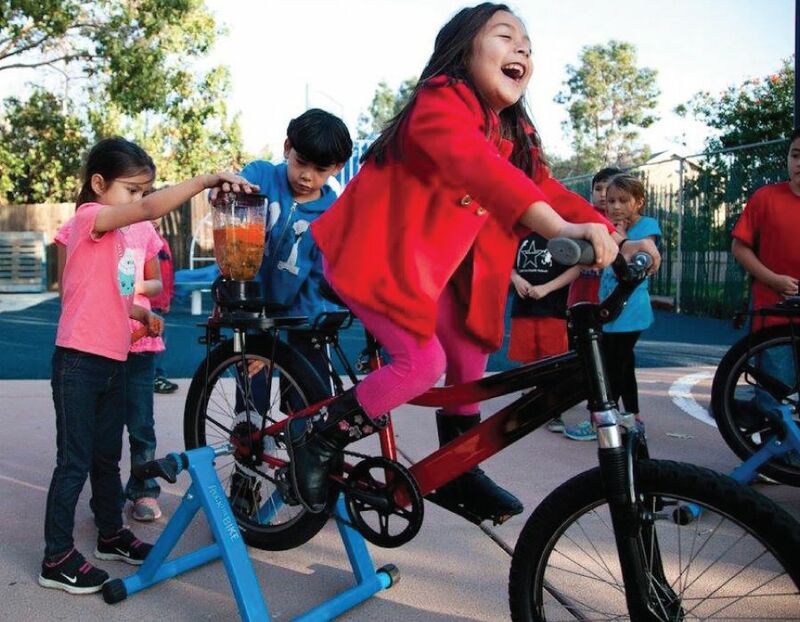 Smoothie bikes span the curriculum: from fitness to culinary arts to science to design and technology school fair, conference, Earth Day celebration, STEAM fair, party, cooking demonstration or workshop.